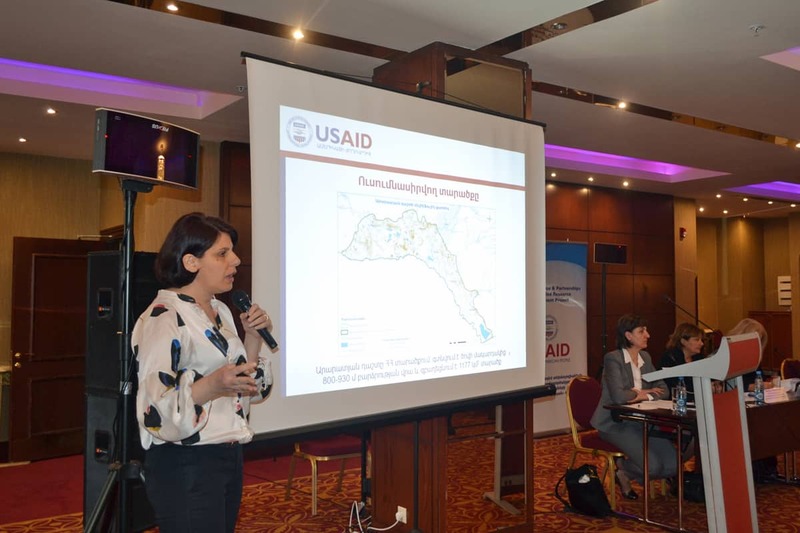 Advanced tools the USAID-funded ASPIRED project developed for more informed decision-making on groundwater management in Armenia’s Ararat Valley were showcased at a World Water Day public event on March 22, 2019. 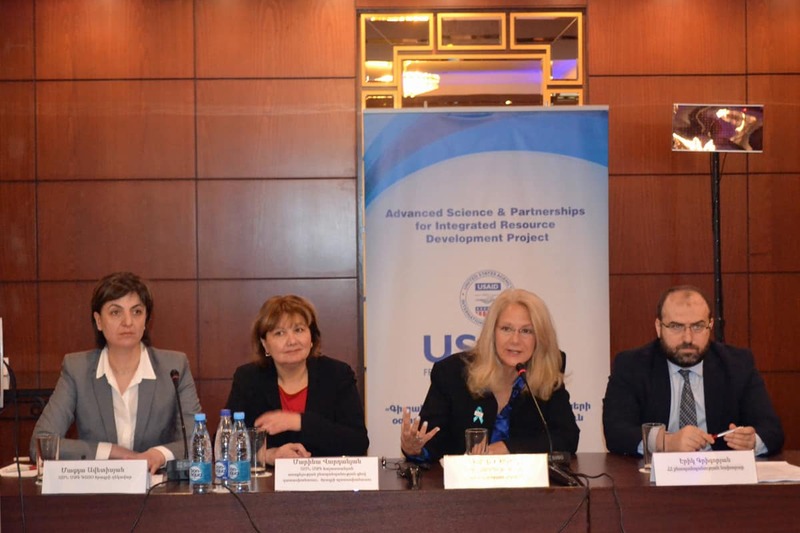 USAID/Armenia Mission Director Deborah Grieser, Armenia’s Minister of Nature Protection Erik Grigoryan, and representatives of the Armenian government and water sector stakeholders attended. Celebrated globally on March 22, World Water Day highlights the importance of water for humanity and promotes sustainable water resource management around the world. This year’s theme, “Leaving no one behind,” focuses on the billions of people around the world living without safe water and is meant to bring attention to United Nations Sustainable Development Goal 6—water for all by 2030. 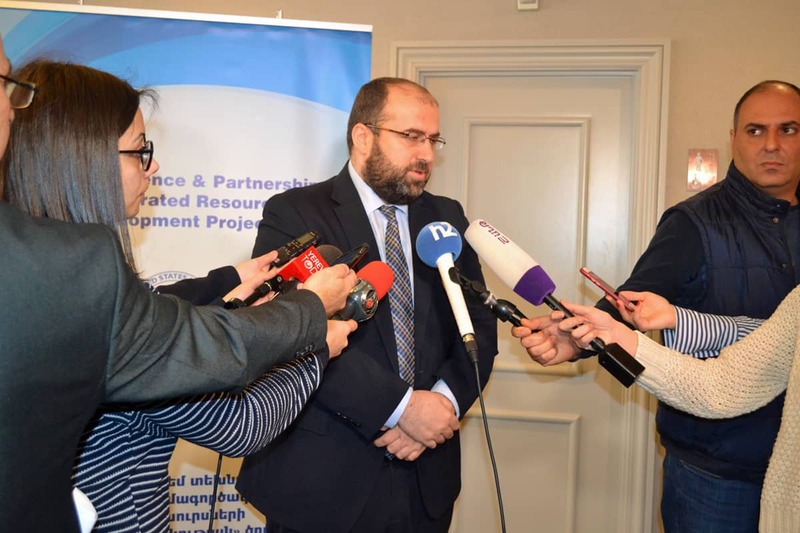 In Armenia, access to water and sustainable management of water resources remains a challenge with water systems for drinking, agriculture, energy generation, and industrial production under pressure around the country. One of Armenia’s most urgent issues is rapid depletion of groundwater reserves in the Ararat Valley, the country’s key agricultural hub. A 2014 USAID assessment determined the uncontrolled use of artesian water has shrunk the groundwater basin by almost 10 meters on average. Groundwater shortages have serious implications for the country’s agricultural sector, the socio-economic well being of the region, and the safety and security of the Metsamor nuclear power plant using the artesian water for its cooling system. More than 30 communities of Ararat and Armavir provinces currently face problems with drinking or irrigation water supply. 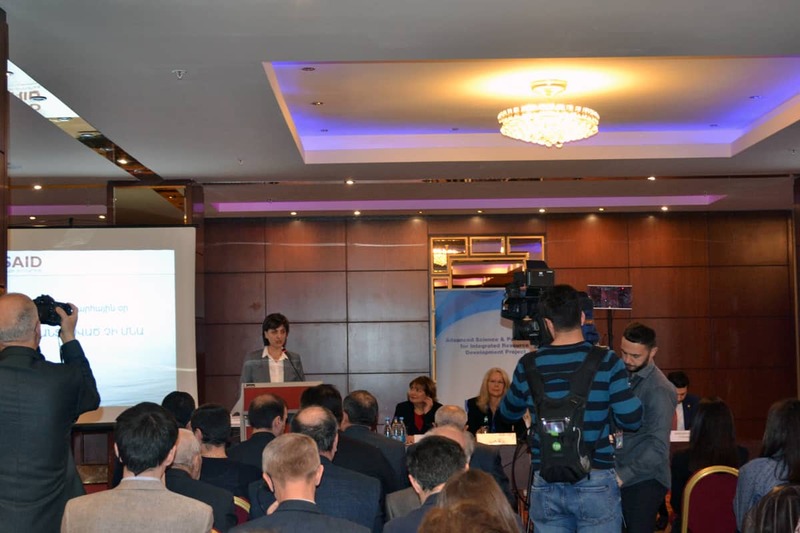 During the World Water Day event, ASPIRED presented a three-dimensional model of the Ararat Valley’s groundwater basin and the computer-based Decision Support System (DSS). The 3D model of the Ararat Basin demonstrates the hydrogeologic structure and the water bearing potential of the basin. The DSS enables assessment of water availability in natural conditions and analysis of both human and climate change impacts on the water resources. Introducing the concept of secondary use of fish-farm water for irrigation needs in Hayanist and Sayat-Nova communities, returning 100 hectares of abandoned community farmlands back to cultivation and creating income-generating opportunities for 183 households. Sealing a damaged artesian well in Sipanik community. With an outflow of 60 liters per second, the well water had been flooding the neighborhood with water better preserved or used elsewhere for years. 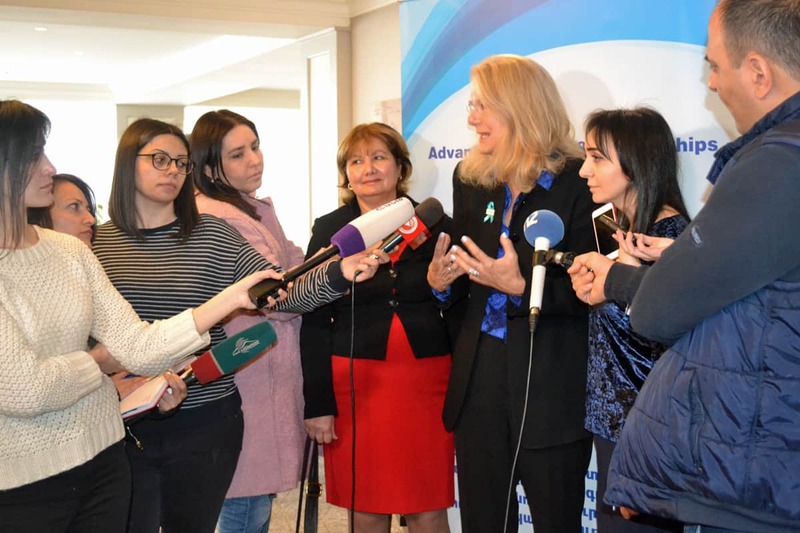 Together with its local partners, ASPIRED is currently implementing infrastructure projects in four communities of Armavir and Ararat marzes. 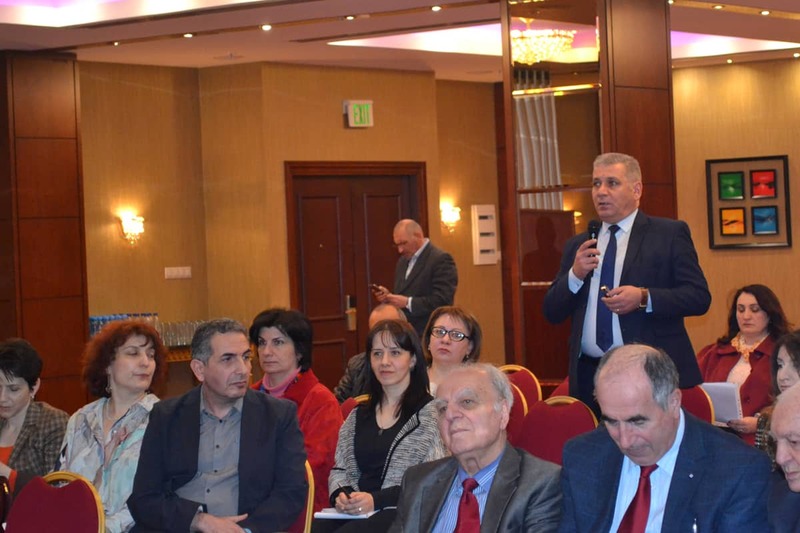 An innovative aquaculture technology center in Armavir is also under development through joint efforts with a private fishery. ME&A currently implements the ASPIRED project for the USAID Mission in Armenia. Begun in September 2015, ASPIRED is designed to support sustainable water resource management and sustainable practices of water users at the core of the water-energy nexus through the use of science, technology, innovation and partnerships approaches. The goal is to reduce the rate of groundwater extraction in Armenia’s Ararat Valley to sustainable levels.